Elizabeth Arden Eight Hour Cream Intensive Daily Moisturiser SPF 15 is a daily hydrating lotion that leaves the skin feeling soft, smooth and moisturised for up to eight hours. Elizabeth Arden Eight Hour Cream Intensive Daily Moisturiser SPF 15 has a quick absorbing formula that smoothes and softens rough, weather-exposed skin with soothing emollients. Elizabeth Arden Eight Hour Cream Intensive Daily Moisturiser SPF 15 restores skin from the effects of extreme weather and climate changes, healing skin by reversing the signs of dryness while the skin is protected with spf 15. 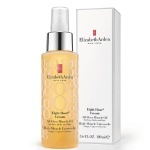 Simply use Elizabeth Arden Eight Hour Cream Intensive Daily Moisturiser SPF 15 with Elizabeth Eight Hour Cream for optimum healing and protecting results.